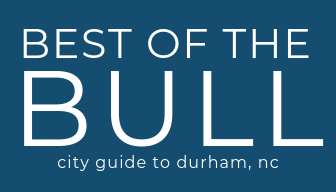 Here at Best of the Bull we hope to make your life a little easier by bringing you the best things to do, places to eat, drink, and see in Durham. So it seemed pretty natural to us to start a program that was focused on supporting local businesses and helping you discover them! So, What is Shop Durham? Shop Durham is a card program that gets you rewards, discounts, and freebies at locally owned businesses all over Durham. We’re pretty excited to have 140 and counting business participating. Spots like Durham Co-Op Market, Cocoa Cinnamon, Kaffeinate, Monuts, Durham Distillery, Joe Van Gogh, Unscripted, Pour Taproom, and more! See a complete list of local businesses here. I’ve never heard of Shop Durham before. How long have you been doing this? We launched Shop Durham in December 2017 with nothing more than a love for the great city of Durham and its unique local businesses. Where can I get a Shop Durham card? You can get one online right now and it will get to you in just 2-3 days. The Shop Durham card is your key to Durham. Whether you’ve lived here all your life, just becoming acquainted with the city, or if you’re looking to visit or relocate. Shop Durham was designed to reward you for shopping locally, but it’s not just about saving. It’s a mindset. It’s a reason to choose local first next time you need a gift, a cup of coffee, a quick bite to eat, a new outfit. We hope it inspires you to visit local businesses that you may not have heard of otherwise! For more info about Shop Durham click here. How can my local business become a Shop Durham member? Simple. Check out Join Shop Durham to learn more.